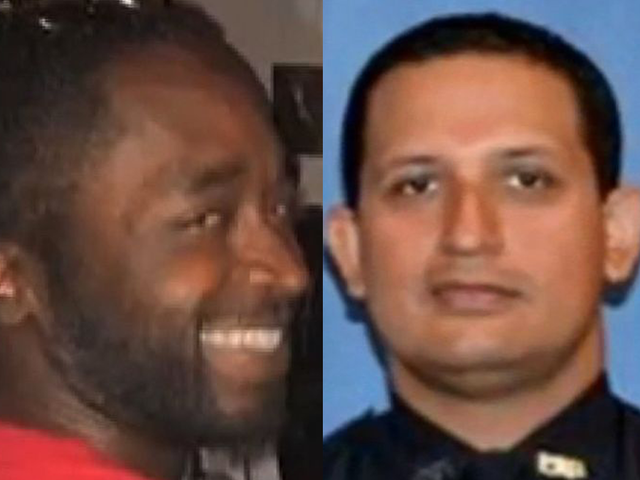 *A fired Florida police officer has pleaded not guilty to charges related to the fatal shooting of a legally armed black musician who was waiting for a tow truck. Nouman Raja, of South Asian descent, entered a written plea of not guilty to one charge each of attempted murder and manslaughter by culpable negligence, reports the Palm Beach Post. He was charged earlier this month in the Oct. 18 death of Corey Jones. Jones’ SUV had broken down on an Interstate 95 off-ramp before dawn. He had gotten out and called for a tow truck when Raja pulled up in an unmarked car, wearing civilian clothes. Jones and Raja, 38, apparently pulled guns on each other. Raja fired six shots, hitting Jones three times. Jones never fired.